When you work in aviation, you cannot help but walk a lot and work with heavy machinery and delicate components. 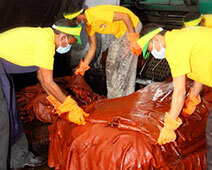 In such an environment, you have to have access to highly durable yet flexible safety shoes. The footwear has to be such that you can wear it for long without any pain or discomfort. Safety of feet is of paramount importance in such a workplace; but what is more important is comfort so you can actually wear the shoes and do your work. Imagine the shoes that constantly pinch your toes! Would you be able to concentrate on your work? There will be days when you’ll have to work for long hours with your safety shoes or boots on; and those would be the times when you’d literally pray for your shoes to be light weight, flexible and comfortable. Low quality shoes do not offer these benefits. And thus, you should always get your shoes from a brand that is known for producing high quality safety shoes and work boots. Depending on your specific work environment, you may need shoes with extra toe protection, anti-skid properties, oil & water resistance, etc. So make sure that the shoes that you buy for your work have the qualities you’d need to survive the odds of getting injured at your work place. 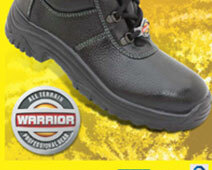 Conduct a thorough market research to see the safety shoes offered by the leading shoe makers. Narrow down to the shoes that meet your specific needs. Then, look at other factors such as materials used and pricing to determine which company and which shoes would better serve your purpose.